Fake News is one thing, fake religion, or apostasy as the Word calls it, is quite another. 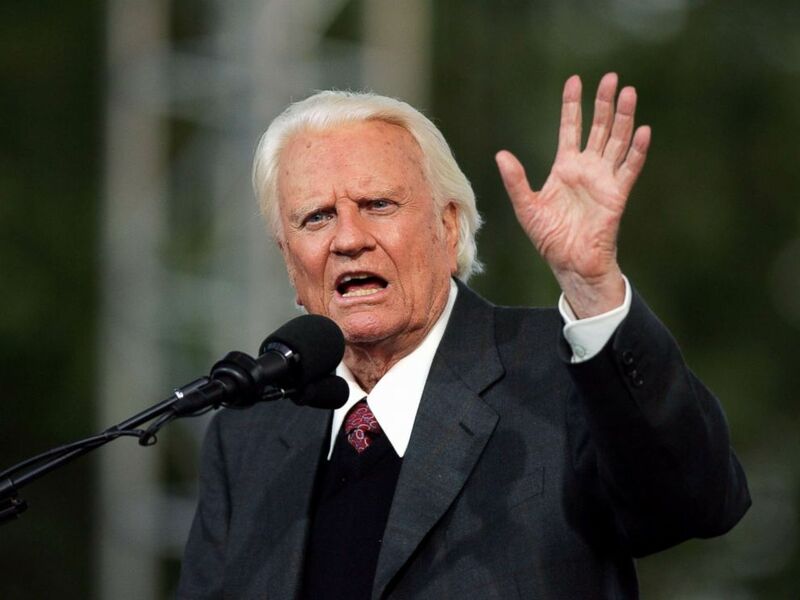 I will not comment on where Billy Graham is headed as I leave that kind of judgment up to my Lord. But for Huckabee to claim he is in Heaven right now, I have Scripture to declare truth on this that cannot be denied and so I have to ask if Huckabee believes or even studies His Christian Bible. Reason I ask is because I see him doing what all the apostate wolves have been doing for literally eons. To claim someone is in Heaven at the moment of death is simply unbiblical. There isn't a single Bible verse to back that up. According to the Bible, no one goes to Heaven or hell at the moment of death. Jesus Himself stated to Mary Magdalene after resurecting that Sunday morning in John 20:17, "Touch me not; for I am not yet ascended to my Father." But most preachers today declare Jesus lied in their strange life after death theology. I also did a video on this some years ago to summarize this truth for those that prefer the quick answer. And so I will not go into much detail now on this as I see no need since there is already an in depth study as well as a video for those that need the truth. But I will share one Bible verse that speaks of a prophetic event that will happen when Jesus splits the eastern sky that confirms all those preachers, pastors a priests are lying when they say you go straight to Heaven the moment you die. 1 Thessalonians 4:16-17, "For the Lord himself shall descend from heaven with a shout, with the voice of the archangel, and with the trump of God: and the dead in Christ shall rise first: Then we which are alive and remain shall be caught up together with them in the clouds, to meet the Lord in the air: and so shall we ever be with the Lord." How I ask is it possible for a preacher to declare people are in Heaven right now when the Bible clearly says the "dead in Christ" are still in their graves and "will rise first" from those graves when Jesus splits the Eastern sky? I thought they said they were already in heaven? Do they go to heaven, hang out there for a few centuries and then slam back into their graves right before Jesus returns so as to make the lying preachers on earth appear to be preaching the truth? No, Jesus Christ does not need to use deception to back His Word at all. He has the unadulterated truth on His side that is eternal and unchanging. Basic biblical and prophesied reality here is, the moment those Christians come out of their graves on the great and dreadful day; all those preachers declaring lies about the state of the dead as it is described in the written Word of God will be forever exposed as the wolves Jesus said they were 2000 years ago. And so why do they preach people go to Heaven or Hell at death? It is so the prophesied false doctrine of demons can be believed over and above the Word of the living God. As we know, Satan does all he can to make Jesus Christ out to be a liar. Those demons need that false doctrine so as to go about masquerading as dead loved ones preaching lies of Hell by claiming they are actually messages from heaven so as to confuse the masses. And as we have seen for eons, these demons have appeared as dead people to make the common man believe the Bible lied about the state of the dead and some of these demons have actually moved many so called church leaders to preach all sorts of their hellish doctrines by simply showing up acting like a dead saint. Now do you see why the elect cannot be deceived? The obedient bride of Christ that studies their Bibles knows to "believe not every spirit, but try the spirits whether they are of God: because many false prophets are gone out into the world." -1 John 4:1.